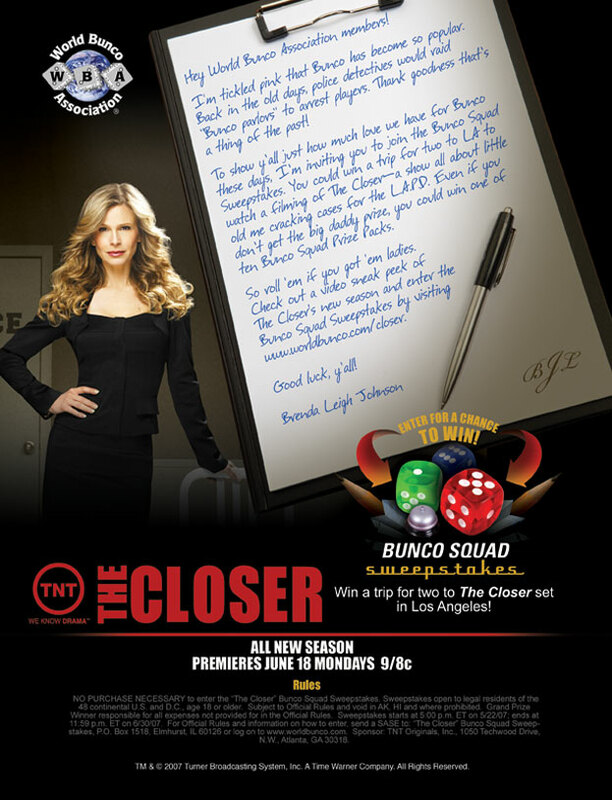 I am very excited to welcome you to the first edition of The Bunco Times. Inside every edition of our monthly newsletter you will view recent events, recipes, special announcements, fundraising ideas, and introducing Bunco's very own Ask Bab's column. Please enjoy! For those of you that were not able to attend The 2007 Bunco World Championship in Las Vegas lets recap: there were over 1000 players from all over the United States competing for the coveted purse of 50,000 dollars (wow). The title of Bunco World Champion went to Stephanie, a Scottsdale AZ. resident, CONGRATULATIONS again. See you all at the 2008 regional tournaments and the Bunco World Championship (states and dates to be announced). Stars on score sheets, tell where to begin. Be quick and be lucky and play real smart. Wishin' and hopin', for one or more. It's worth twenty-one, so add 'em with glee. And all will give credit, to the best at BUNCO! Online Bunco is COMING SOON (accessible through www.worldbunco.com ). Prizes Galore, Unbelievable Nationwide Tournaments coupled with Competition Craziness. Yipeeee for the updated eBunco website. Please access www.ebunco.com , where you will get a glimpse of our fantastic new Summer items including Bunco’s eco-friendly wearable’s, just click on the “going green” tab for a better view. Leslie Crouch is a mother of three girls who range in age from 17 to 22. As most mothers, Leslie has actively contributed in her girls outside activities while working in several fields. Her background in business ranges from restaurant management to the Director of Marketing at a toy company. 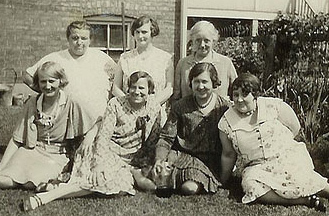 Realizing that there were Bunco groups and clubs dating back to the early 20's Leslie saw an opportunity to box this popular pastime and bring it to market. Leslie's interest in games started in the mid 90's as she found herself drawing on butcher paper the template for "It's Bunco Time, Instant Party in a Box". And, so.. the story begins how Leslie acquired the family of Bunco trademarks. I am in a bunco group that has lost all of its' original members except 2 and we ran into a discrepancy on the rules pertaining to the head table. We were on our first go around on at the head table and the 3rd person to roll rolled a bunco and no extra points. The 4th person then rolled since they had not rolled yet and rolled a couple of points and then a bunco. The way we have played for years is that the 3rd person's team would have won because they rolled a bunco first, however the 4th person believed that they won because rhe only points were scored by 3rd and 4th rollers only and the 4th persons was more regardless that the person before them rolled the bunco first. They justified it because at the losers tables it doesn't matter who rolls a bunco because we have to wait on the head table so the score is what counts. I hope you can tell me who should have won at the head table because I can see both sides of the argument. If everyone at the head table had a turn rolling then the 4th person and partner would be the winner. There would be no sense in everyone getting an even amount of turns rolling if you were not going to take the (4th person in this case) last roll into account. Wheeeew. I hope that helps. RECIPES TO ADD TO YOUR BUNCO NIGHT! Slice the shrimp slightly to tail and stuff with a mixture of cream cheese seasoned with the wasabi. Dippers- focaccia bread cubes, Italian bread cubes, mozzarella or provolone cubes, or cooked tortellini or ravioli. In a large skillet, cook the sausage, onion, and garlic until meat is brown. Drain off fat. In 3 1/2 or a 4 quart crock pot, combine spaghetti sauce, mushrooms, pepperoni or Canadian style bacon, and basil or oregano. Stir in the meat mixture. Cover, cook on low heat setting for 3 hours. If desired, stir in ripe olives and sweet pepper. Cover, cook on low heat setting for 15 minutes more. To serve, spear the dippers with fondue forks and dip into the fondue. Mix ingredients together, refrigerate, and enjoy! 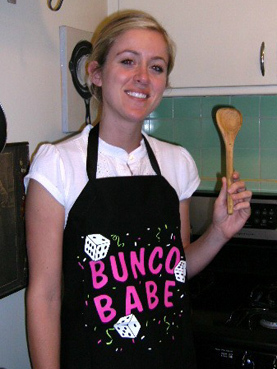 “Bunco®” is a registered trademark owned by the World Bunco Association. All rights reserved. The official “Bunco Rules” are copyrighted by the World Bunco Association. All rights reserved.